Can You Reheat Chicken? | Can You Reheat? 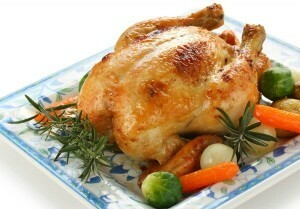 Chicken is a very diverse meat, as you can prepare in many different ways. With so many options to prepare it, you can typically group your meal into three categories, fried, baked, and grilled. Each has their own special ways to be reheated. Baked chicken is much more able to be dried out when you try to reheat it! When you are reheating your baked chicken, use the oven for best results. Preheat your oven to 300 degrees. Cover with foil and bake for 20 minutes or until warmed through. Fried chicken when improperly heated, can become greasy. To avoid this, you can either refry the chicken, or you can bake it on a baking sheet. To bake it, preheat your oven to 350 degrees and bake the chicken for 8 minutes per side. When you are enjoying the grilling season, nothing is worse than having to eat cold chicken! To reheat, simply place in the oven on a baking sheet for 20 minutes at 300 degrees. You can also create a pouch out of foil and place back on the grill over indirect heat. You should not use the microwave because you can dry out your delicious meal. Not to mention, it can make the meat very chewy. Overall, the oven is the best choice to reheat chicken to ensure a delicious reheated meal! The other white meat tends to have a bad reputation when it comes to being reheated. So next time you make a chicken dinner, be sure to keep these tips in mind so that way you can treat your family to great leftovers that are just as great as the first night.